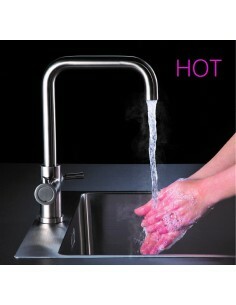 Boiling Hot Water Taps : Energy Efficient. 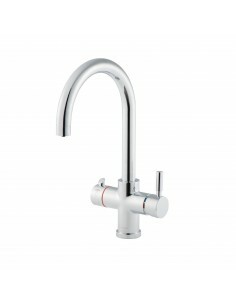 Use as a main kitchen tap or an additional talking point! 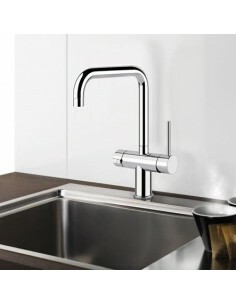 Many manufacturers available including in sink erator, Brita, Grohe & Gessi. 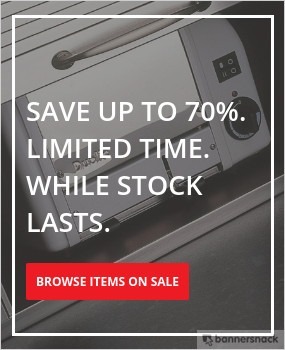 Once you have one, you'll wonder how you ever did without it! 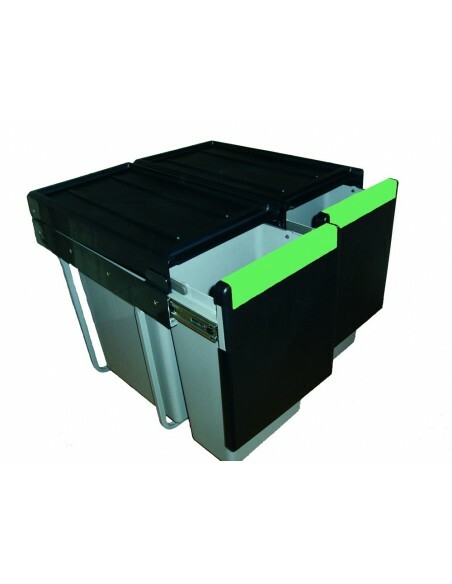 No leads, no clutter, no mess. 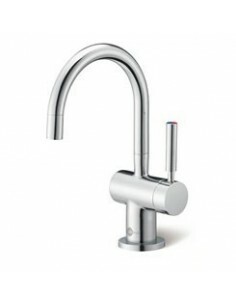 Hot water kitchen taps do come with a variety of functions, make sure you select the right model for you and your family. 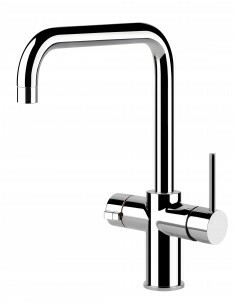 Insinkerator offer GN1100 simply a boiling hot water tap, perfect as an additional tap. 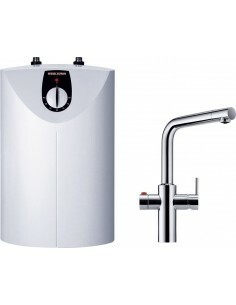 The HC1100 range has boiling hot & cold filtered water together. 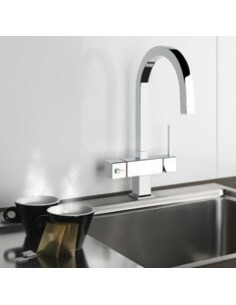 The new Insinkerator H3N1 tap is a 3n1 tap, offering fresh cold water, regular hot water & steaming filtered boiling water. 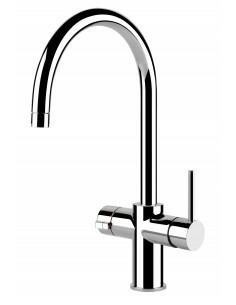 The new Brita 3n1 offers the ability to have standard cold, hot & boiling water along with the filter starter kit that upgrades the tap to also include fresh cold filtered drinking water, a 4n1 option! 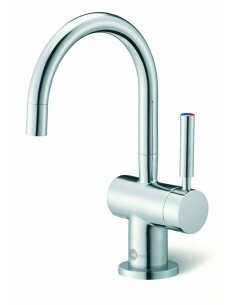 Grohe & gessi are also quality kitchen taps with boiling water function. 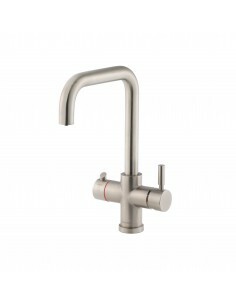 InSinkErator H3300 Series, Boiling Filtered Hot Water Tap. 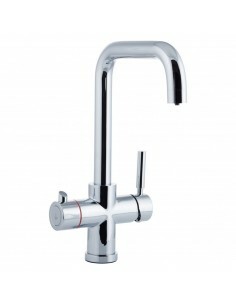 Stiebel Eltron 3-in-1 Boiling Hot Water Kitchen Tap, Option To Include Brita Filter. 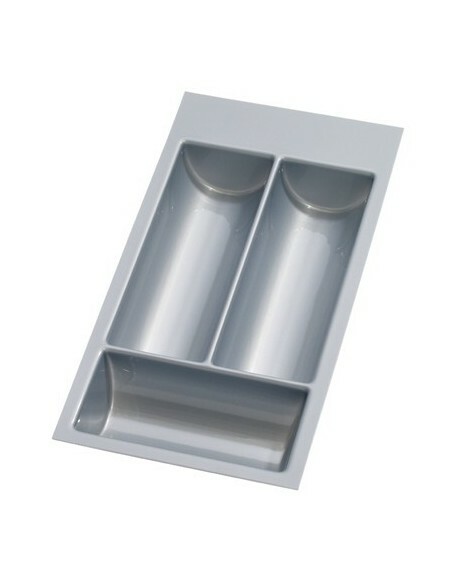 Perfect For Making That Cup Of Tea! 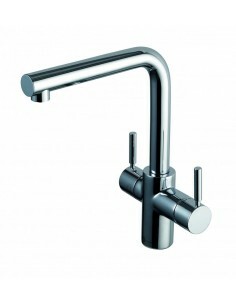 Chrome Or Stainless steel. 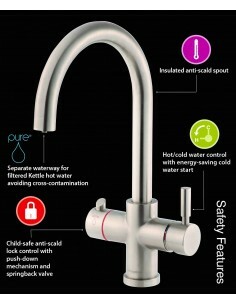 InSinkErator HC3300 Series, Boiling Filtered Hot & Cold Water Tap.